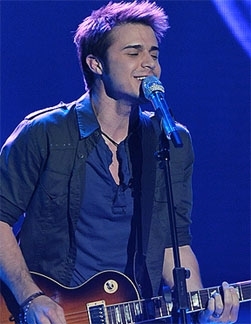 – Did AT&T help Kris Allen win American Idol? Allegedly so. – Everyone loves a good case of schadenfreude, but it makes you wonder just how insufferable Jon and Kate Gosselin are that no one seems to be coming to their defense these days, don’t it? BTW, nearly 10 million viewers watched the season five premiere of Jon & Kate Plus 8 … again, schadenfreude. I wonder how far that number will drop for next week’s new episode, especially since the premiere made it pretty clear that the Gosselins can barely stand to sit next to each other on a couch. – As the New York Daily News points out, the Gosselins are hardly the only exploiting their children for reality TV dollars. – Jessica Simpson just isn’t going to go away, and TV may be helping that. – Whoa … Is Susan Boyle really a potty mouth? – If you doubt The Big O’s influence, tune in Thursday night for CNBC’s The Oprah Effect (9PM ET), a special that delves into how just a mention on her show can mean the difference between a business thriving and filing for bankruptcy. – Hoo-ah! Al Pacino‘s headed to the tube, playing suicide doc Jack Kevorkian in an upcoming HBO movie. 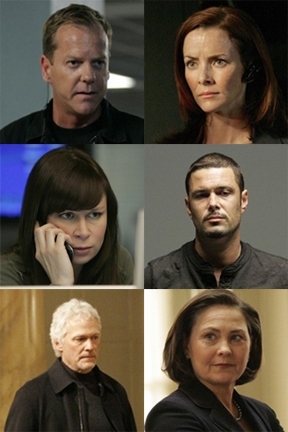 – 24, which begins production on season eight today (yay! ), has added another pair of new cast members, including Kissing Jessica Stein star (and girlfriend of Mad Men star Jon Hamm) Jennifer Westfeldt. – And, there’s plenty of serious TV business to talk about today, but for some comic relief, and just plain old fun summer TV watchin’, you can’t beat tonight’s return of Wipeout (ABC, 8PM ET) and The Big Red Balls.